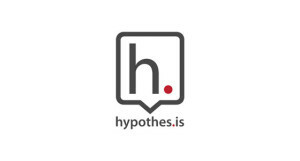 Hypothesis is one of several tools that young people will be using to engage with the 2016 election. From fact-checking candidate statements to breaking down the rhetoric of campaign websites, we’ve developed annotation activities to help students harness the power of social annotation for civic participation. Here’s a link to our L2P 2.0 portal along with an introductory webinar and conversation with colleagues. We’ll be adding more content throughout this exciting election year.